Los Angeles – Day three of BET Experience brought some serious hip-hop heads to L.A. Live’s Club Nokia on Saturday night (June 27). Black Thought, Questlove and the rest of The Roots were joined by Erykah Badu and a grab bag of other artists to pay homage to their fallen friend James Dewitt Yancey, better known as J Dilla. The three-hour concert roared into the early morning hours and was full of surprise guests — including Lauryn Hill and Busta Rhymes — who were immeasurably influenced by the late producer’s music. Some offered stories about how they met the Detroit-native who died of a blood disease in 2006 and others just belted out the hits he helped them create. Badu arrived on the stage with the help of a motorized skateboard that she stayed on for 20 minutes while she seduced the packed house with “Window Seat,” “On and On” and “Love Of My Life,” before bringing out the night’s first guest, Busta Rhymes. The rapper battled a troublesome microphone during his performance of his 1997 hit “Put You Hands Where My Eyes Could See” and “Woo Hah!” and eventually ditched it before delivering a heartfelt monologue about Dilla. “Jump” and “Pass the Courvoisier” brought the whole crowd to their feet before Busta made his swift exit. Next up was The Pharcyde, the Cali-bred group that Dilla used to DJ for, who served up “Runnin” and “Passing Me By” before Slum Village shocked the crowd by showing up to share some hits. 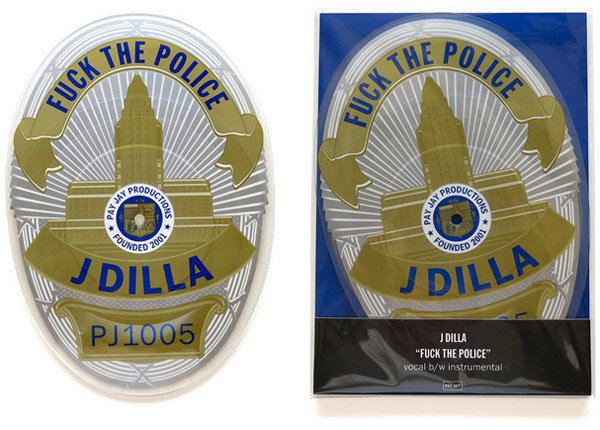 J Dilla’s classic, out of print for over a decade, has been remastered from Dilla’s original mixes and issued on Pay Jay Productions as a badge-shaped 9“ picture disc single. Both the vocal and instrumental come straight from mix-downs that Dilla himself created. This limited edition 9″ badge-shaped picture disc single comes in a thick, custom-made pocket fold-over, inserted into a Japanese-style, resealable clear plastic sleeve. Photos & the beat right here. 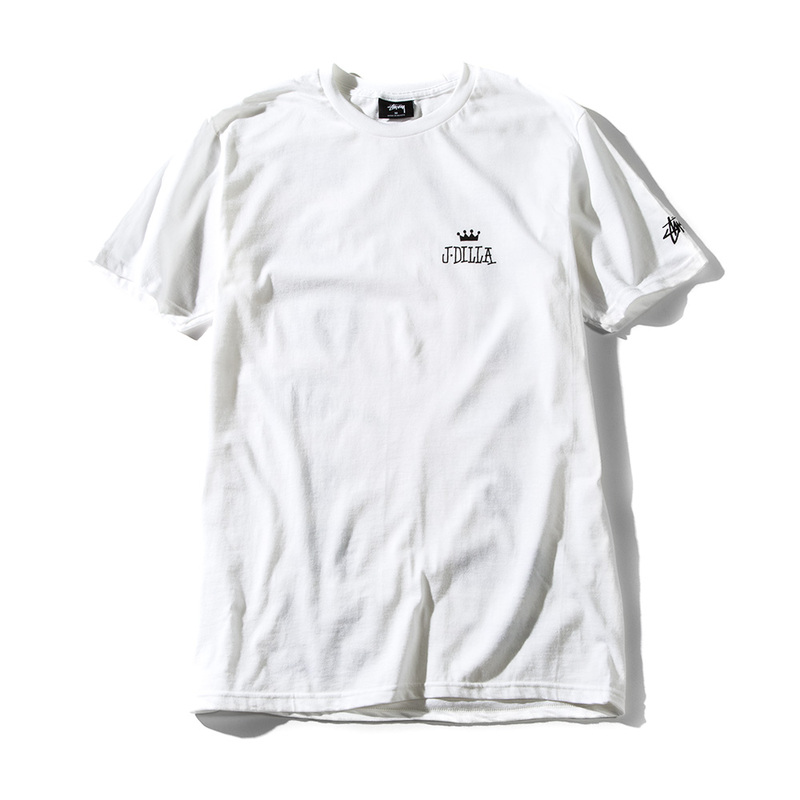 This is the third t-shirt collaboration between the iconic street wear brand Stussy and The Estate of James Yancey. 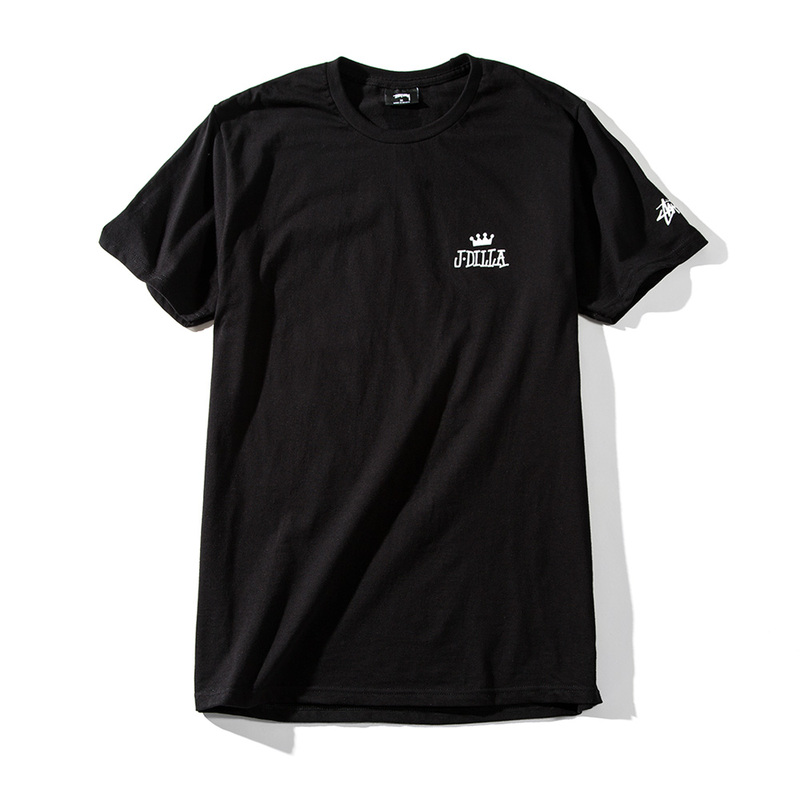 Tees are on sale and shipping now from Rappcats.com and Stussy. 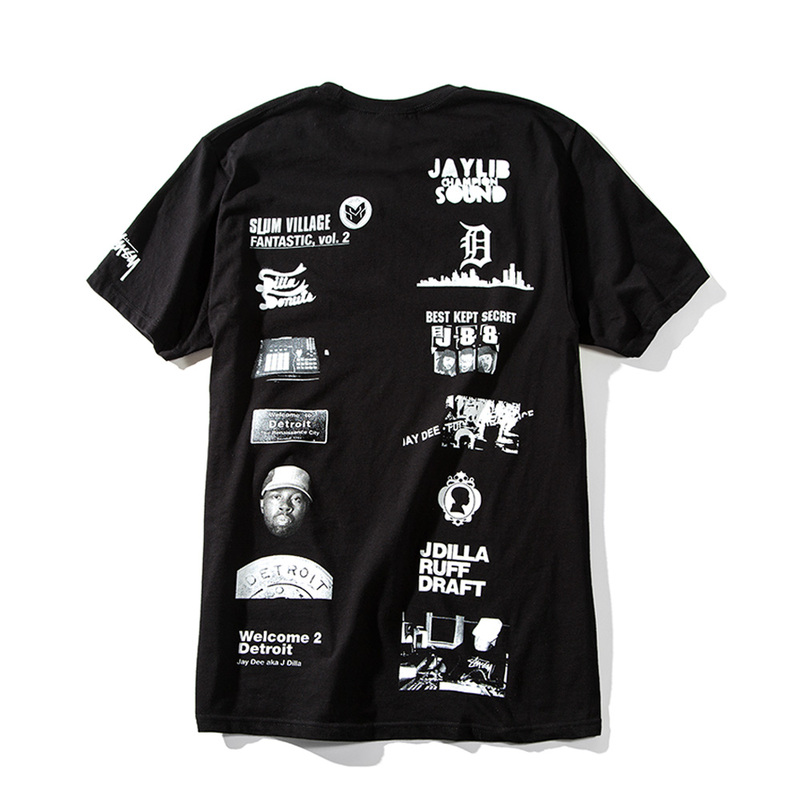 Stussy.com also has a limited supply of the J Dilla Figure.